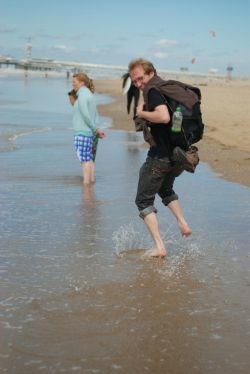 After a few months I am coming back to Maastricht to defend my master thesis and finish my Infonomics master studies. My defence is scheduled to take place on Thursday January 31, 2013. Wizzair no longer flies from Prague do Eindhoven, thus I had to book the flight with Transavia to Rotterdam and take train from Rotterdam to Maastricht. 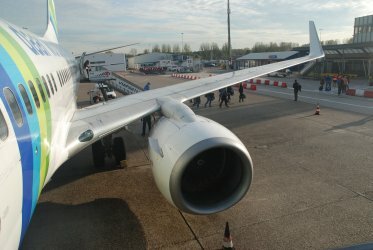 The whole journey is longer and more expensive, but at least there is some cheap flight from Prague to the Netherlands. I could fly with Wizzair from Brno, but I had an exam on Monday so I preferred the Tuesday's flight from Transavia. It's around zero in Prague and it's raining. 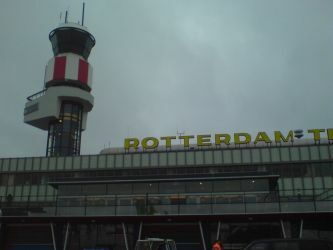 The board at the airport reports that in Rooterdam it's warmer. Flight is on time and the plane is not full at all. Soon after the take off I and falling asleep and when I wake up, I can see the sun and dense white clouds under us. How beautiful compared to the grey and depressing weather on the ground.